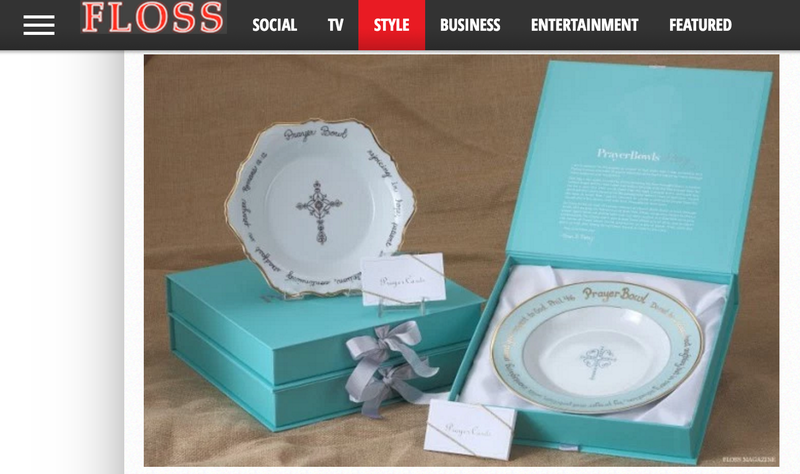 Congratulations to our Client PrayerBowls for their feature on Floss Magazine! So many times we hear of a prayer request at church, Bible study, through social media or email, and we pray for that person at that time. Often, we quickly forget to offer a prayer again while we shuffle back into our daily routine…but God tells us to pray continuously. So, simply place your prayer bowl where you sit daily, and jot down the names of those whom you’re praying for on a slip of paper. Then, each day, alone or with your family, lift up those friends in need to the Lord. The PrayerBowls are stunning porcelain bowls elegantly trimmed with a gold edge and hand-applied Swarovski Crystals. Inscribed on each bowl is a powerful Bible verse, and each set includes a bundle of PrayerCards that you can use to pray. Find out more at prayerbowls.com!